To become world class educational and research institute and contribute effectively towards building up indigenous and technological capabilities for sustainable socio-economical development. To equip our undergraduate, postgraduate and doctoral students with advance knowledge through collaborative opportunities emerged from linkages with academia, industry and government. The program intends to provide quality education, so that it could become global leader in the field of metallurgy and materials engineering. The program mission is to produce engineering graduates, researchers and scientist with adequate understanding of structure-property-processing-performance-co-relationships of engineering materials and metallurgical processes for sustainable development. 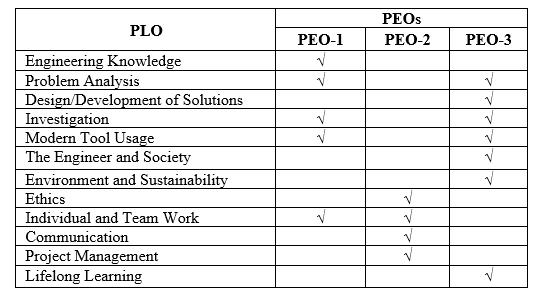 PEO-1 Producing efficient graduates with adequate knowledge and competency in the field of Metallurgy & Materials Engineering and related fields. PEO-2 Developing leadership qualities skills with high quality ethics and optimum attitude. 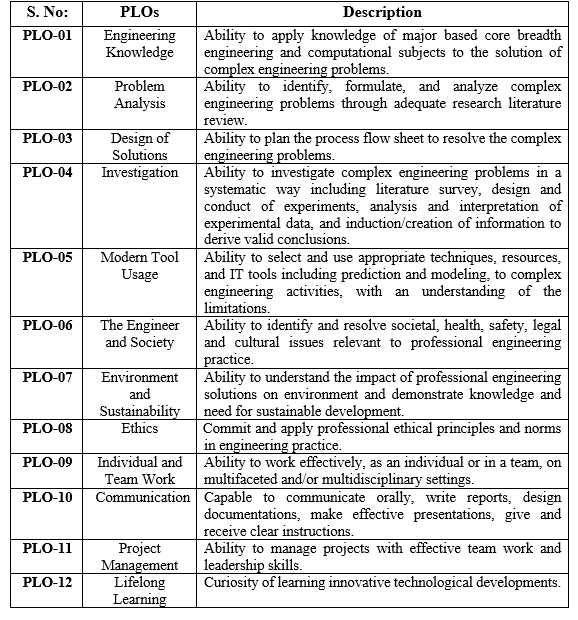 PEO-3 Emerging interest in research and continuous profession development to enhance self esteem.